Demand for infant formula in China is “poised for impressive growth” market research group, Mintel, has said. According to Mintel, demand for infant formula will have a compound annual growth rate of 5.4 per cent between 2016 and 2021. 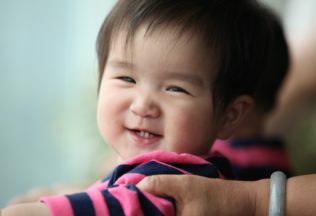 The growth has largely been attributed to China’s decision to abolish its “one-child” policy and demand for organic infant formula. Mintel says 75 per cent of all Chinese mothers choose to feed their babies organic infant formula. Younger mothers are particularly interested in organic formula, with 79 per cent of Chinese mothers aged 25-34 using the product. Nine in ten middle class Chinese also opt for organic formula. After asking Chinese mothers why they chose organic, Mintel said 49 per cent put the decision down to simply being “willing pay more for their baby’s food”. Despite China’s demand for infant formula, Mintel reports pre-made liquid infant formula has yet to grain traction in China, with no product launches in 2016. The product is however becoming increasingly popular in the United States and the United Kingdom with 41.7 per cent of 2016 liquid formula launches occurring in the UK. Approximately 21 per cent of launches occurred in the US. Cheryl Ni, Food and Drink Analyst at Mintel, said research indicates high-end and niche food and drink products still have great potential in China. “Organic infant milk formula has experienced a high adoption rate, indicating that consumers with more spending power are willing to pay a premium for products they perceive to be better for their infants,” she said. “Premium infant milk formula products will become the focus of leading companies who meet infant formula registration measures. Brands need to identify the right way to communicate with mums, to probe into their needs in real life, and to provide them with solid proof of the product advantages,” Ni stated.